The Israeli digital signage software shop NoviSign now has its platform and media player running on Sharp’s Open Architecture system-on-chip displays. The company’s online Studio editor runs on the new Sharp 40 and 50-inch PN series 24/7 displays. 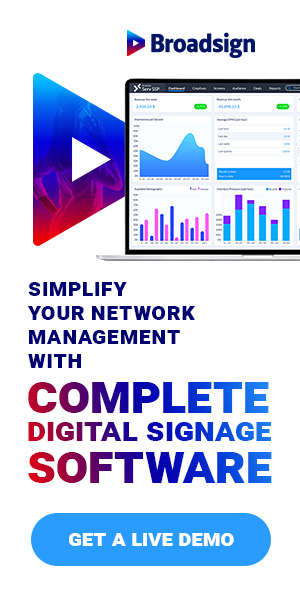 “NoviSign’s cloud-based digital signage software provides a seamless integration with Sharp’s new PN-B and PN-M Series displays, providing cost-effective, added-value solutions for our customers,” says says Gary Bailer, director of product planning and marketing for Sharp. The Sharp platform uses Android, something NoviSign was already supporting. NoviSign also runs its platform off Chrome devices.